Trading in your old car can be a great way of helping make your new one a little more affordable. By offering the value of your current vehicle to a dealer, you are lowering the price of the luxury car you want to buy to replace it – and you’ll be saving on taxes, too. When trading in your old car, just be aware that cars depreciate in value every year which means that the older your vehicle, the less money it is worth. If you want to find out an estimate of how much your car is currently worth, then there are plenty of websites that offer tools to assist you. Because merchants are always looking to their profit margins when it comes to trading in cars, selling your vehicle privately can mean you get a better price for it. When considering a private sale, you need to weigh up whether the additional money you’ll receive is worth the hassle of dealing with the paperwork, the legal processes and the risks involved, none of which you have to go through when trading in. Long gone are the days when air conditioning and Bluetooth were considered the height of technology in a car. Vehicles now come with a whole host of options and accessories, ranging from heated seats to USB ports. An inbuilt GPS system, for example, can add up to $2000 to the price of your vehicle, which is a serious amount of money considering you can pick up some of the best GPS devices for as little as $150 in an electronics good store. Luxury cars, in particular, are notorious for charging for additional extras that make absolutely no difference to your enjoyment of the vehicle. Porsche’s leather seats are a costly, unnecessary addition, while nobody seems to be able to come up with one good reason as to why you would want to pay extra for a starry roof on your Rolls Royce. There are two types of loans that can help you to afford your dream car – an auto loan or a personal loan. An auto loan offers the advantages of a lower interest rate because the dealer uses an installment sale contract, whereby the vehicle is used as collateral on the loan. Many luxury vehicle merchants will have good financing programs available which will also offer a warranty on the vehicle in the event of premature failure. Using a personal loan is another option. These are the borrowing schemes available from traditional banks and money lenders and can give you access to some of the money you might need to help in the purchase of your dream car. If you are worried about being turned down for a loan due to a bad credit rating, then have a look at no credit check financing from Bonsai Finance. We’ve already touched on how depreciation can affect the value of your current vehicle when it comes to trading in, but it can also help you afford a luxury car if you are willing to buy a second-hand model. Because owners of luxury cars tend to take more care over the vehicles than others, a used luxury car is often in much better condition than a comparably aged normal vehicle. It also might have low mileage if the previous owner only took it out on special occasions or in the summer when the weather was nicer. Given the rate of depreciation, you’ll make the most saving by buying a car that is around 10 years old. Just make sure to carry out a complete inspection of the vehicle to avoid any surprises, as getting a problem with a luxury car fixed can be a very costly experience. You might be able to save yourself a couple of thousand dollars at the point of sale by completing a private deal, but these are loaded with risk – especially when it comes to luxury cars. Buying from an individual offers you no guarantees that the car won’t break down within six months and you could be left facing a costly repair bill. By purchasing from a dealer, you’ll be covered by guarantees and after-sales service and should something go wrong; the dealer will have the means to source new parts direct from the manufacturer. 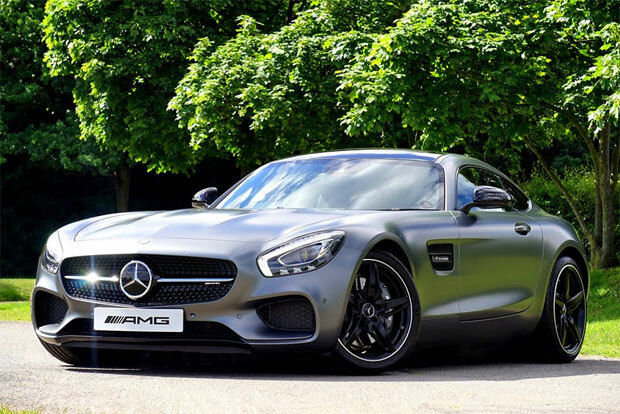 That is a particularly important factor to consider when it comes to luxury cars as their parts can be expensive and difficult to get hold of for individuals or independent garages. Buying a luxury car is a little different from picking up any old runaround from your local dealer. Because every transaction brings in such a large amount of money and the luxury car market only accounts for 11.7 percent of sales in America, it’s a less crowded marketplace,and that means it is in the interest of all parties to get a deal done. That strengthens your hand when it comes to negotiating. You might be able to knock a couple of thousand dollars off the asking price by opening negotiations. After all, if you don’t ask, then you don’t get.